The Young Winos were featured today on the nationally-syndicated radio program Marketplace (along with our good friend Tyler Colman of the Dr. Vino blog, whose book we reviewed last year). 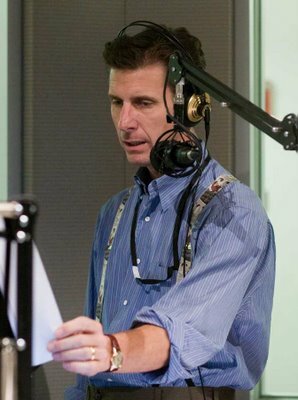 This is a big deal for me, I have to admit, because I’m a huge Kai Ryssdal fan. The man speaks about complex financial information with such laid-back detachment that you almost think he’s talking about a frat party he’d attended the night before. “The yield on the two-year T-note tanked today, falling to a measly 1.03 percent, and then we ran out of beer… but Cliff had a handle of Captain he’d ganked from Phi Delt, so it was alllll good, baby.” What a badass that guy is. The segment, which you can listen to by clicking here (or here, if you’d like to read the transcript), was all about Sherry — specifically, why young people aren’t drinking any of it. According to this article, Sherry imports are down to 200,000 cases a year, 75 percent off their peak in the 1980s… which constitutes a huge Sherry Fail. The segment raised a really important issue: why aren’t young people drinking more Sherry? I was asked that very question by Marketplace reporter Caitlan Carroll. To me, it’s a problem of perception. The only thing that most 20-somethings really know about Sherry is that it’s something our grandmothers drank, and that’s all we feel we need to know. It’s basically a lack of understanding, coupled with the “uncool” factor: unlike something like Pinot Noir, for example, which is fairly straightforward (a bottle from Burgundy may not taste quite like a bottle from Santa Ynez, but at least they’re both essentially the same thing), Sherry takes a little more exploration to fully grasp what it’s all about. The wine is so stylistically varied that it can easily fall prey to seeming to suffer an identity crisis in the eyes of young consumers who are used to being able to understand the essence of something from the first example they ever taste. If you try a glass of Harvey’s Bristol Cream (as many people do, their first time), and you decide it’s too sweet, then you’re done with Sherry forever… even if you would’ve loved a Fino or a Manzanilla. To address this particular issue, we’ll be devoting next week’s chapter meeting to the dry family of Sherries: Fino, Manzanilla, Amontillado, and Oloroso. Click here to come join us!